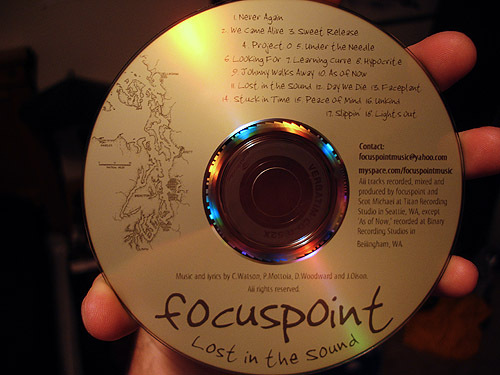 The focuspoint CD is finished! This will be an instant Northwest classic. Bow down haters and skeptics. Kiss the ring. The CD will be available for $10 starting Friday, June 8 at our CD release party at Valhalla in Kirkland. Mark your calendars.